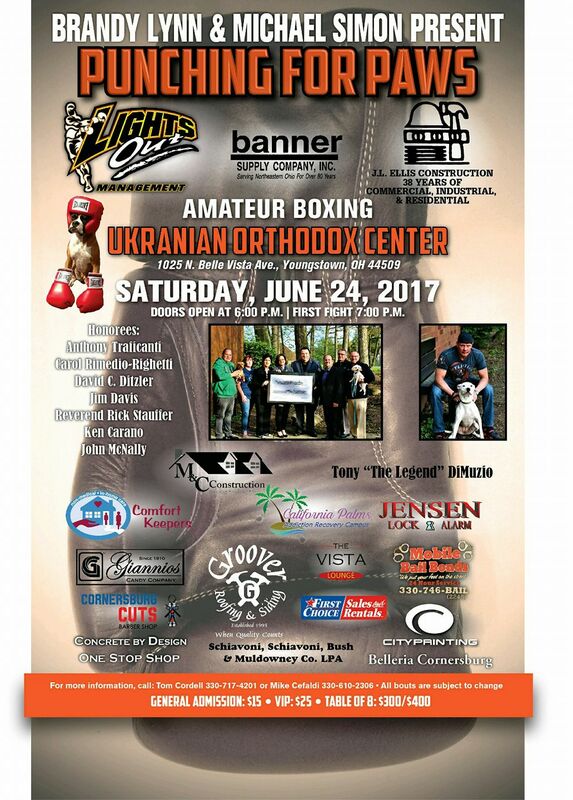 Lights Out Managment is bringing amateur boxing back to Youngstown's west side this upcoming Saturday, June 24th at the Sts. 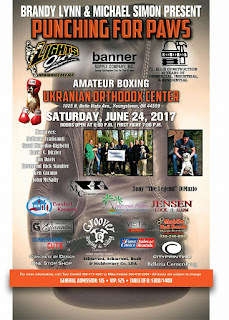 Paul & Peter Ukrainian Hall in an event being called Punching for Paws which will help benefit the Mahoning County Dog Pound. The fifteen bout card which will begin at 7:00 PM with the doors opening at 6:00 PM is slated to take place outside in the parking lot, however, inclement weather could force the event to be moved inside the hall. While no schedule of bouts has been made available yet, a handful of fighters from Youngstown's Downtown Boxing Club will be in action. Aside from the action in the ring there will be a 50/50 and an auction which will all go towards the Mahoning County Dog Pound along with proceeds from single ticket sales.